Quad signal outputs for KO's FHSS Normal, FHSS French mode system and Kyosho's MHS Mini-Z Normal and French mode. HCS (High speed Communcation System) is the new high speed communication system between the receiver to the servo. The HCS mode shortens communication time of the signal which is compressed. HCS compatible servos change the mode automatically by signal from receiver. 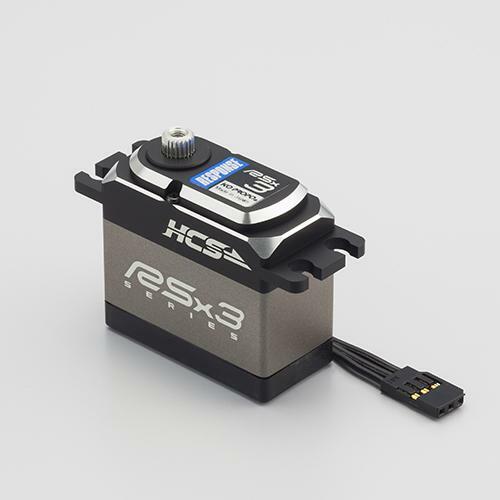 So HCS compatible servos can use with all receivers.